The incidence of mental illness in our community as well as in our workplace is increasing. Mental illness is more prevalent than many people realise. Around 25% of Australians aged between 16 and 85 will experience a mental illness at some point in their life. 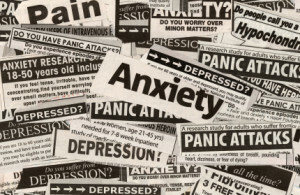 The most common mental illnesses are depression and anxiety disorders. Unfortunately, more than half of these people with mental illness do not access medical treatment. An employee may develop a mental illness prior to employment or during employment. Most employees successfully manage their illness without it impacting on their work. However, others may require workplace support for a short period of time, while a few will require ongoing workplace strategies. All employers have legal obligations in relation to the management of mental illness in the workplace. The law requires that a workplace is safe and healthy for all workers and does not cause ill health or exacerbate existing mental conditions. Additionally, anti-discrimination laws require an employer not to discriminate against or harass workers with mental illness. Employers are also required to make reasonable adjustments to meet the needs of workers with a mental illness, just as they would in relation to an employee who has a back injury. A common presumption is that an employee’s mental illness develops outside of the workplace. However, an ‘unhealthy’ work environment or a workplace incident can exacerbate an employee’s mental illness. Unfortunately, in some cases the workplace is the cause of the employee’s mental illness. Stress-related workers’ compensation claims have doubled in recent years and Australian businesses are losing millions of dollars each year by failing to provide early intervention/treatment for employees with mental health conditions. Additionally, a healthy and safe workplace minimises stress levels, improves moral and achieves greater staff loyalty. Therefore, it goes without saying that is imperative that employers are aware of mental health issues in its workplace and are taking steps to ensure strategies are in place so people can seek help. conducting sessions in mental health awareness and stress management. Today’s workforce is a diverse one and even employees with mental illnesses have abilities and skills which will benefit an organization. The cost of ignoring mental health issues is far greater than the cost of developing and implementing strategies to create a safe and healthy workplace. Providing a healthy and safe workplace benefits all employees and simply makes good business sense.